Ahh, apples. They become a staple snack for me once fall hits. I love em, but I love em even more when they’re slathered in chocolate and peanut butter! P.B. Loco is a brand I’ve long since been curious about. I finally purchased two of their jars including the Raspberry White Chocolate and the Coco Banana. Both flavor combos are really really good, but today let’s talk about the Raspberry White Chocolate. I’ll admit that I didn’t really know what to expect when I bought this flavor. I had nearly finished the Coco Banana jar before even opening this one. Perhaps I was harboring a subconscious fear of disappointment: could raspberry, white chocolate and peanut butter really go well together? Once I finally cracked the jar open, it only took one small spoonful to convince me – yes they can! This peanut butter complements gala apples very well. The light sweetness of the raspberry and creamy, subtle white chocolate go wonderfully with this crisp and slightly floral apple, without overwhelming it. 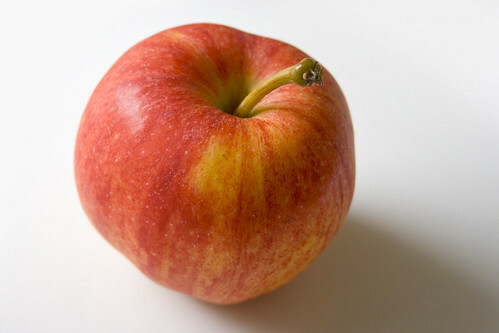 And what better time to enjoy this snack but now, as fall brings us a plethora of delicious apples. Get yourself some P.B.Loco peanut butter online or in a P.B.Loco cafe near you! I was happily surprised to find that they have one a short drive away from me in NJ. Yay! They also have a collection of recipes on their website that includes Pixie’s White Chocolate Raspberry Peanut Butter Cookies. FYI this peanut butter is all natural, gluten free, doesn’t have hydrogenated oil, has zero grams of trans fats and is cholesterol free. Nice! Looks yummy! Here in Nashville, I’ve seen that peanut butter for sale at Brueggar’s Bagels, of all places. It’s the only time I’ve ever seen PB Loco for sale in person. wow flavoured peanut butters! whatever next. 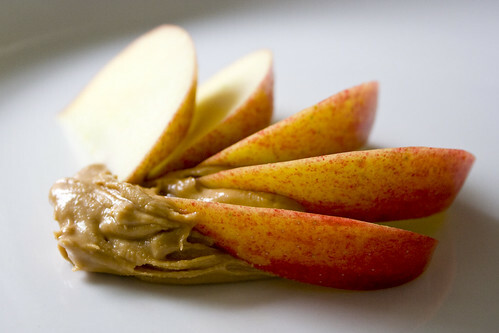 i really need to try sliced apple and peanut butter too, why have i never thought of this before?